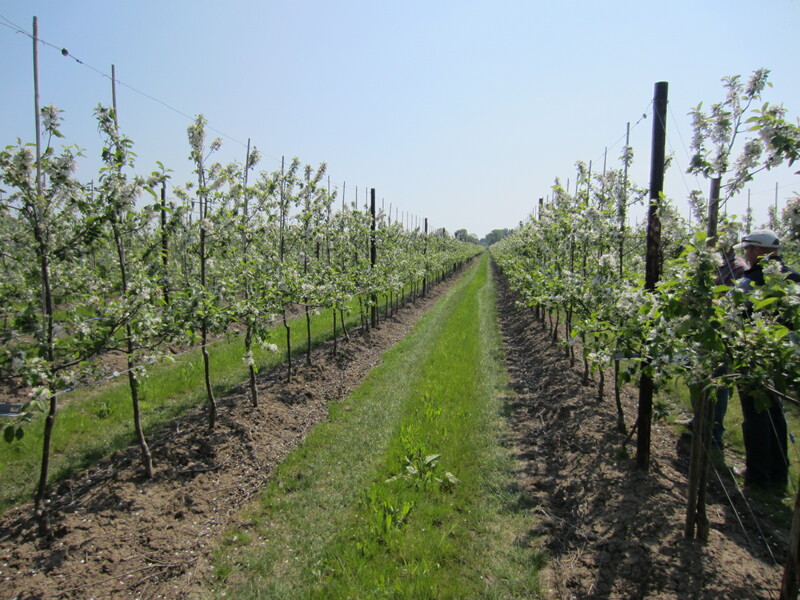 This is a photograph taken in 2008 and is of the first ever Opal® (variety UEB 32642) Orchard in the UK. These crisp, fresh, yellow and gold apples require a lot of love, care and attention right from the start. This begins at the very first stage of planting.